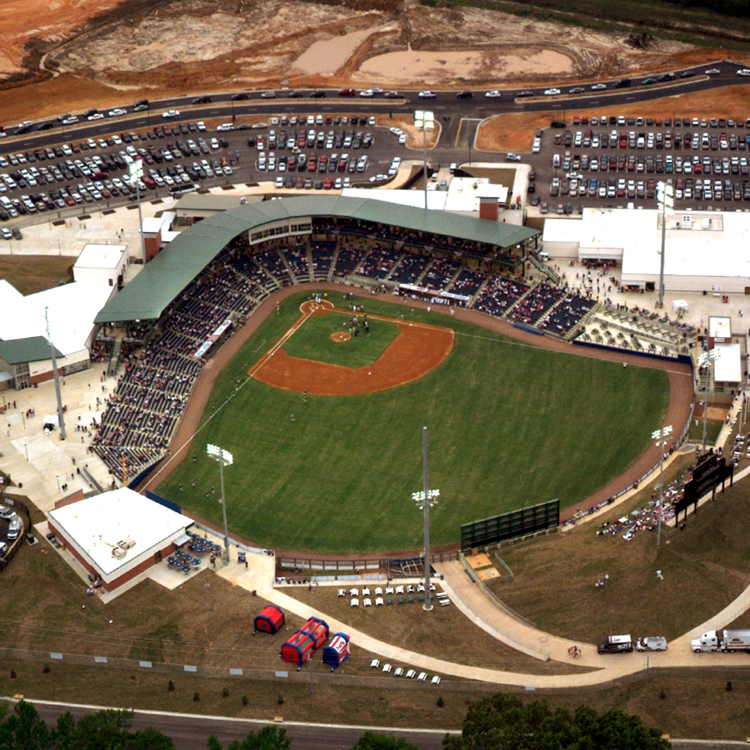 Burns Cooley Dennis (BCD) provided geotechnical engineering and construction testing services for Trustmark Park in Pearl, Mississippi, home of the Mississippi Braves baseball team. 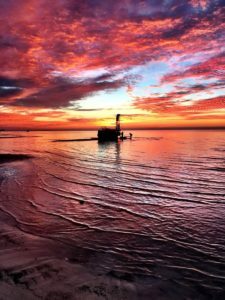 The on-site soils and significant below-grade ground elevations for the playing field and stadium tunnels and dugouts created the likelihood of major groundwater/flooding issues. 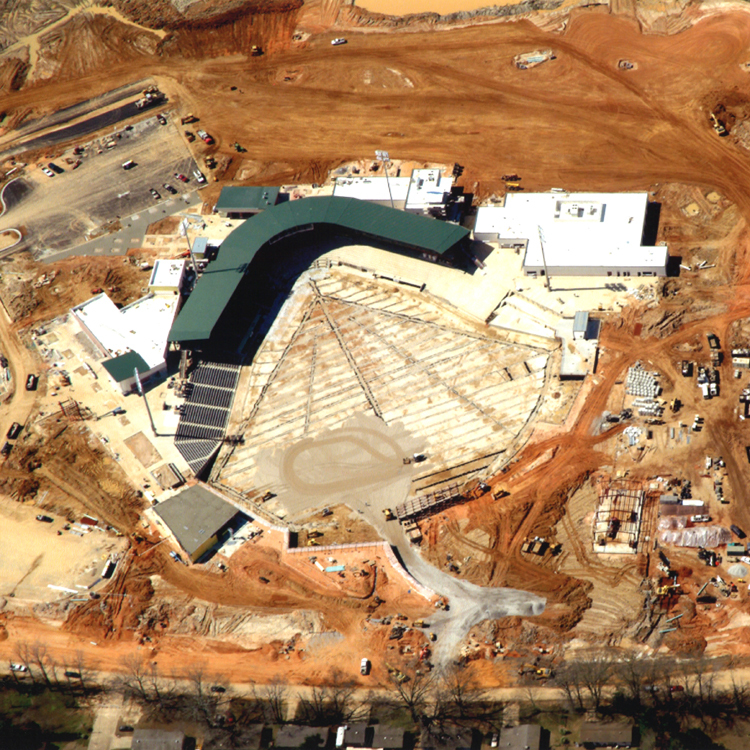 In order to control groundwater and prevent/minimize possible seepage at the stadium, BCD recommended encircling the stadium site with a Soil-Bentonite Slurry Trench Cutoff Wall to provide a semi-impervious barrier that would resist the flow of groundwater through the alluvial sands by fully penetrating through the alluvium and ending in the unweathered Yazoo clays. 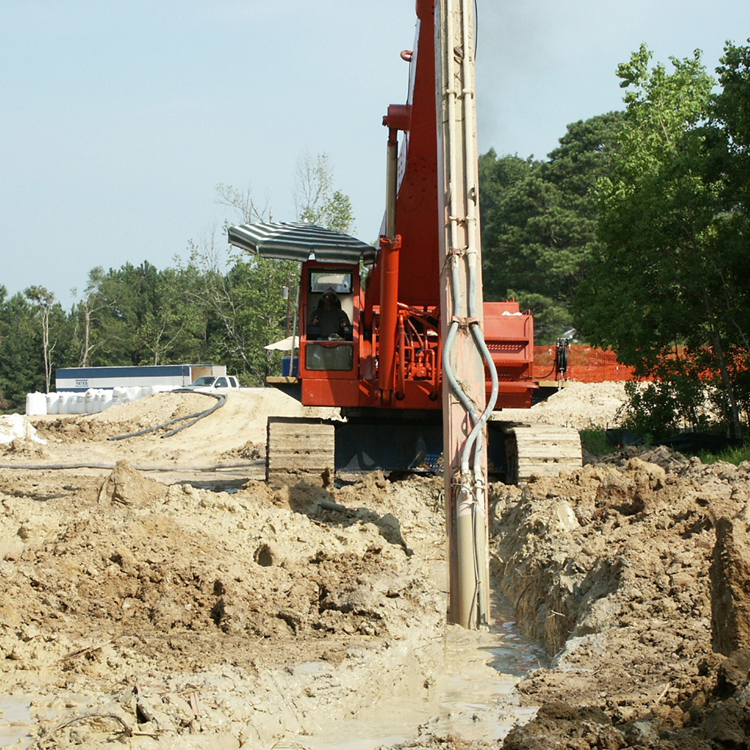 The slurry trench method of constructing a cutoff wall consists of excavating a vertically-walled trench while keeping the trench filled with a bentonite mud slurry to a level that will support the wall, and then displacing the slurry with backfill soils. Not only did the soils and ground elevations at the site pose significant challenges, the design of the stadium did also. The stadium was designed to include a two-story mezzanine with column loads that were considered to be too great for footing support upon the on-site fill and natural soils. BCD recommended Rammed Aggregate Piers (RAPs) for subsurface soil reinforcing in the mezzanine area. The RAP reinforced soil provided a high design bearing pressure and tolerable settlement for the heavily loaded mezzanine footings. BCD received the American Council of Engineering Companies – Mississippi (ACEC-MS) Engineering Excellence Grand Conceptor award in 2006 for work on this project.